Safecopy is a Backtrack 5 Forensic Tool which is used to recover as much as the data from the damaged sector of different sources like - hardisk , flash drives, CD/DVD etc . 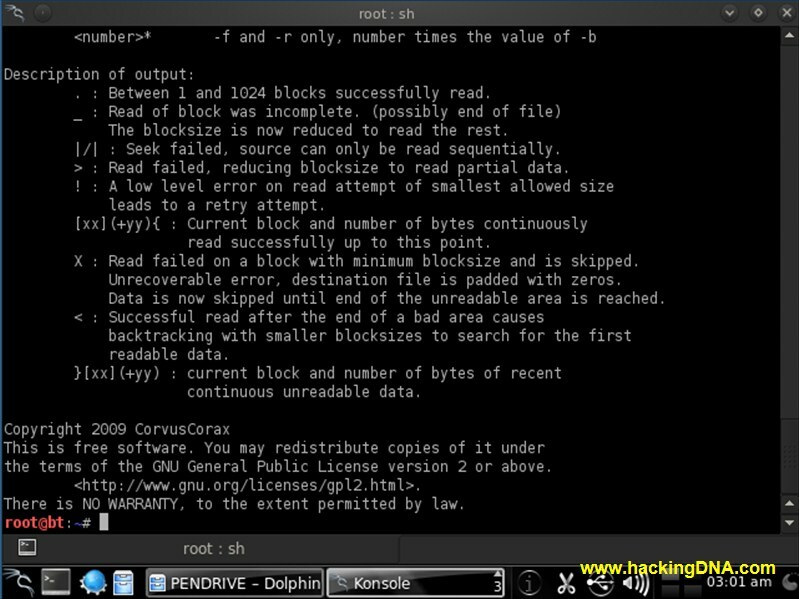 Safecopy is project by Corvus Corax and distributed under the GPL. Safecopy is the tool which can handle the I/O error where the other tool like dd would fail. Safecopy supports the low level features where the other tools don't support. Its a free software anyone can redistribute it under the terms of GNU(General Public License). HOW TO USE " SAFECOPY "
STEP 1 : Our first step is to see the disk partition . So we use a fdisk -l command . Here you have to note that partition name which have the bad sectors or damage sectors. And here I have selected the /dev/sdb1 partition (shown below ). Now Press the ENTER key and your process will start . 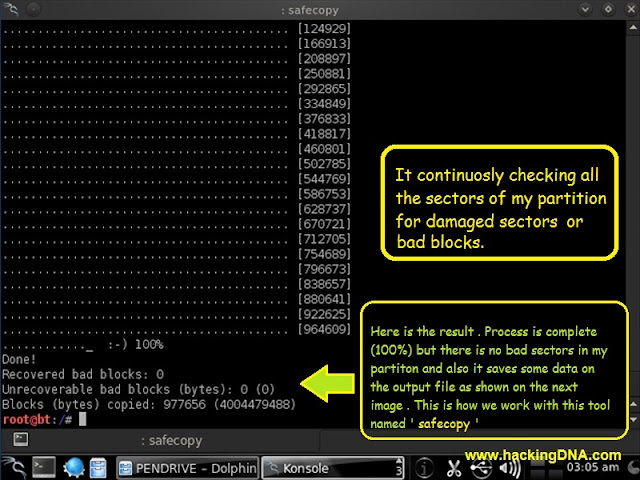 RESULT : It shows that safecopy recovered file of 3.7 GB under the PENDRIVE directory . 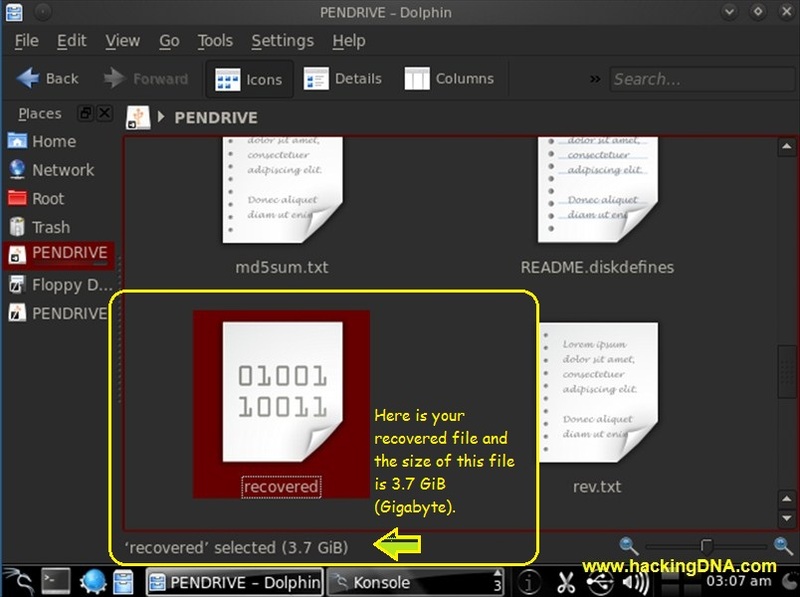 Well , there is no bad sectors found on my 4GB pendrive but whenever I found any old harddisk which have damage sectors then I'll post it here again with new examples . It shown some complication with the result but the process is correct to recover data from the bad sectors .